This edited volume represents the first collaborative effort to explicitly view China’s rapid international ascent as associated with the same process that catapulted Great Britain, the United States, Germany, and Japan to international prominence – the emergence of a capitalist political economy. Each chapter therefore applies the capitalist lens to analyze aspects of China’s monumental social, economic, and political transition. Topics addressed range from examinations of China’s industrial capitalism and its new multinational corporations to studies of China’s changing polity, state-media relations, and foreign policy. With contributors writing from highly varied backgrounds each chapter approaches the subject from a slightly different perspective, but the underlying findings show considerable common ground. China is developing a unique form of capitalism by combining elements rooted in Chinese history, such as the prevalence of networked forms of capital and the continued dominance of the state, with the growing influence of global capital, including the rapid adaptation of recent organizational and technological innovations. 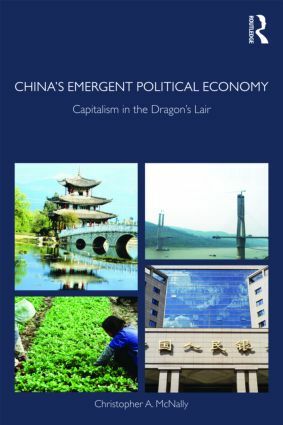 Concluding chapters draw out what capitalism in the dragon’s lair implies for our 21st century world, cautioning that China’s rise is likely to challenge the present world order along both political and economic dimensions.